Well it seems like every time I send out a newsletter I say it’s “packed” but that is true yet again with this one. Below you will find information on 2 glass painting projects and more. 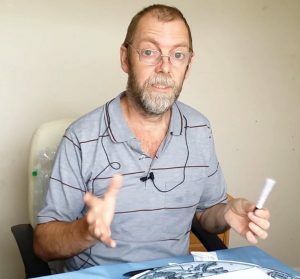 The more being two articles/videos on using a pen in your glass painting. You will have noticed (maybe) that it has been a little while since we last sent out a newsletter. During this time we have revamped the site and started doing the videos a little differently. The site now has a new image and colour scheme, a look we have carried over to our Facebook page, YouTube channel and individual videos. Much against my better judgement you will now see me in our videos (rather than just my hands). Despite my argument that people will find this off-putting I have been assured that it will help you all to feel engaged with the videos. 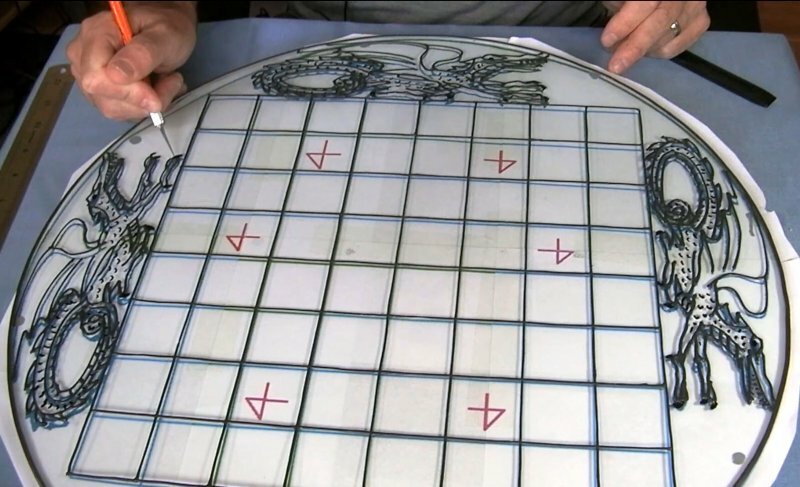 Two of the videos are in the old style (Using a Pen Part 1 and The Lesson Project) and two of them are in the new style (Using a Pen part 2 and the Glass Painted Chess table). I’d be happy to receive constructive criticism on these latter videos, even if it’s just to say you either like or don’t like the new style. Please remember though I am still getting used to the style and hopefully I will relax into it after a few videos. Adding detail with a pen. Using a pen in glass painting. Parts 1 & 2. I know you can get special glass painting pens which you can use instead of paint but these articles aren’t about that. Instead they are about using a black pen to add small bits of detail to your work. In the first article/video I use a permanent marker pen. I was “OK” with this but it did react with one of the paints. In the second article/video I tried out two “paint markers”. These seemed to be much better and worked both below and on top of the glass paint. Please note the first video is in our old style and the second it the first time we really tried the newer style. Using a pen in glass painting. Part 1. Using a pen in glass painting. Part 2. 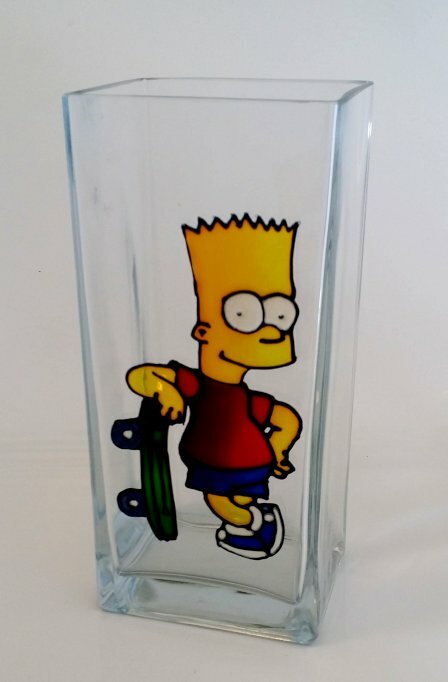 Glass Painting Lessons Part 6. A Simple Vase. Time for another project in our short course on glass painting. We’ve kept it quite simple by using a square(ish) vase and a straight forward cartoon design. Obviously you don’t have to use the same design as us and actually we can’t give this one away as it is covered by copyright. (If you do want to do the same design a quick google search should find you the image). 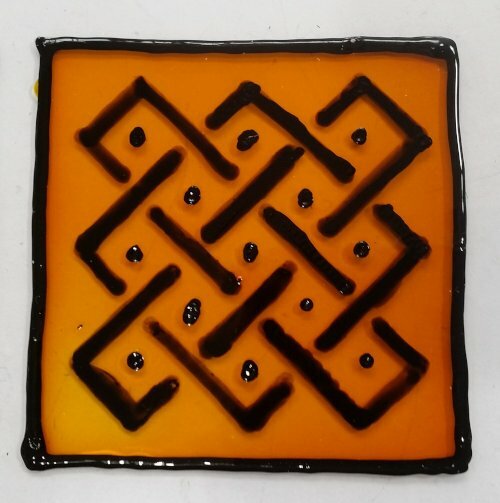 This project builds on the techniques shown in the earlier lessons so as long as you have been through those (or have done glass painting before) then it shouldn’t present any issues. Glass Painted Chess Board Table. Glass Painted Table with Chess Board. This is quite a big project so I am splitting it up into two articles. In this first one I go through developing the design and then the outlining stage. It finishes with adding detail with a pen. This isn’t specifically a project I though about doing although I have though for a while that a chess board would be a good idea. I just happened to see this table for sale in a local Facebook group and bought it before I actually knew what I was going to do with it. I’m really enjoying this project and am also using it to develop our new video style a bit further. Well that’s the end of our “2 glass painting projects and more” newsletter. Please do let us know what you think about the new video style, especially the Chess Table one. Although I am quite happy for people to just say if they find the style better or worse than before it would be helpful to know what about it people like or dislike. Comments so far have included “You wave your hands around too much” and that I use certain words too often: “Right”, “OK”, “Actually” etc. Just comment below if you would like to give some feedback.